Kretchmer Tension SettingsTM are the only patented tension settings in the world- ...12,000 lbs of pressure = more light = better colors = more compliments! 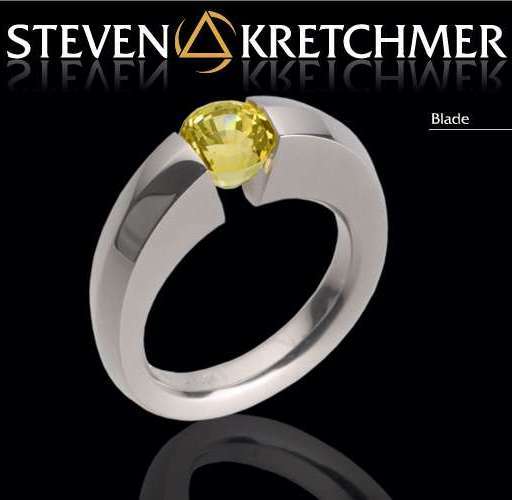 A sleek, cutting-edge style, the Kretchmer Blade is a stone that is great for gems like rubies and sapphires. This ring creates a statement as unique as your love. Metal choice may be selected in "drop down" box at "Add to Cart" area. 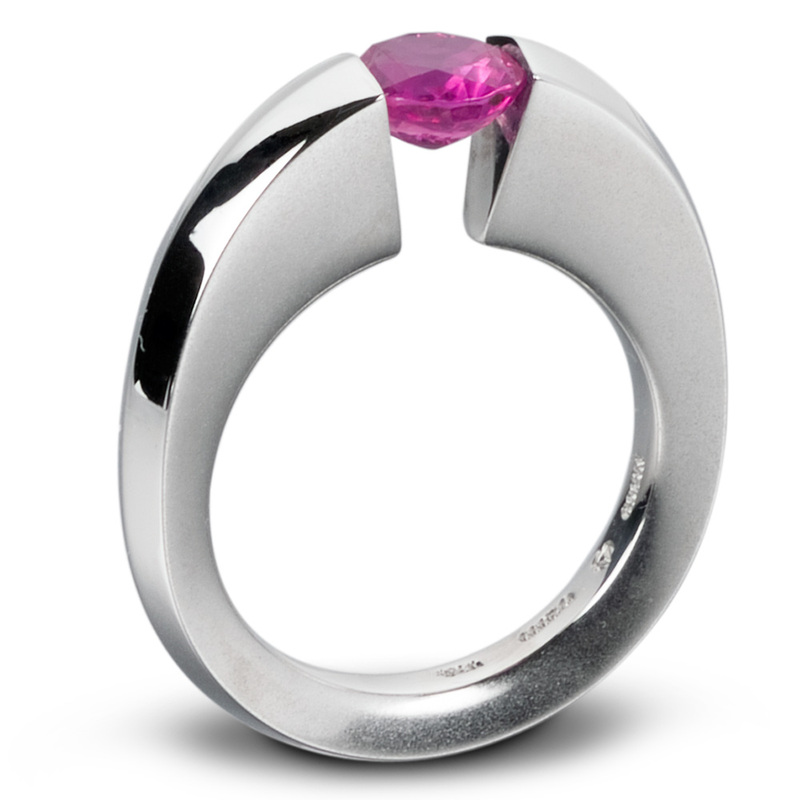 Round Cut (best for deep stones, like rubies or sapphires).